So why would we do such a heinous thing? Why would we go against the grain of a box company and package our stationery delights in anything other than, well, a box? 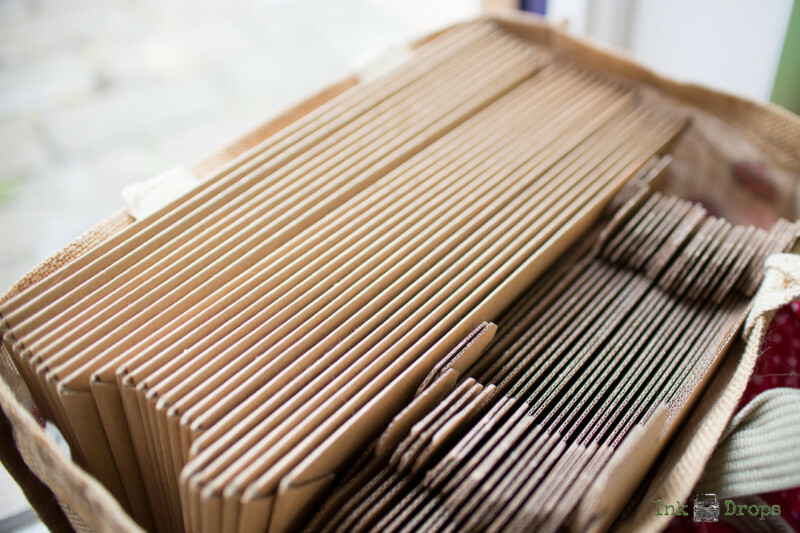 Our number one reason for choosing the sturdy envelopes instead of a box is postability – being able to fit through your letterbox so a) we live up to our tagline and b) you don’t waste precious free time galumphing around the local sorting office trying to prove that it’s your parcel and you’re allowed to take it home. Back in 2012 when we started, we did actually go around and measure various people’s letterboxes to see what the best size for our packaging should be, to both fit through a letterbox and fit our goodies into – needless to say we got some very odd looks, but we’re willing to do (almost) anything in the name of bringing you stationery! Our envelopes fit almost every letterbox, teeny tiny Victorian ones being the only exception (but if you live in a house with this kind of letterbox, you will be used to collecting more or less everything you receive in the post anyway). A lot of the boxes out there are foil blocked, plastic coated and not terribly eco-friendly. 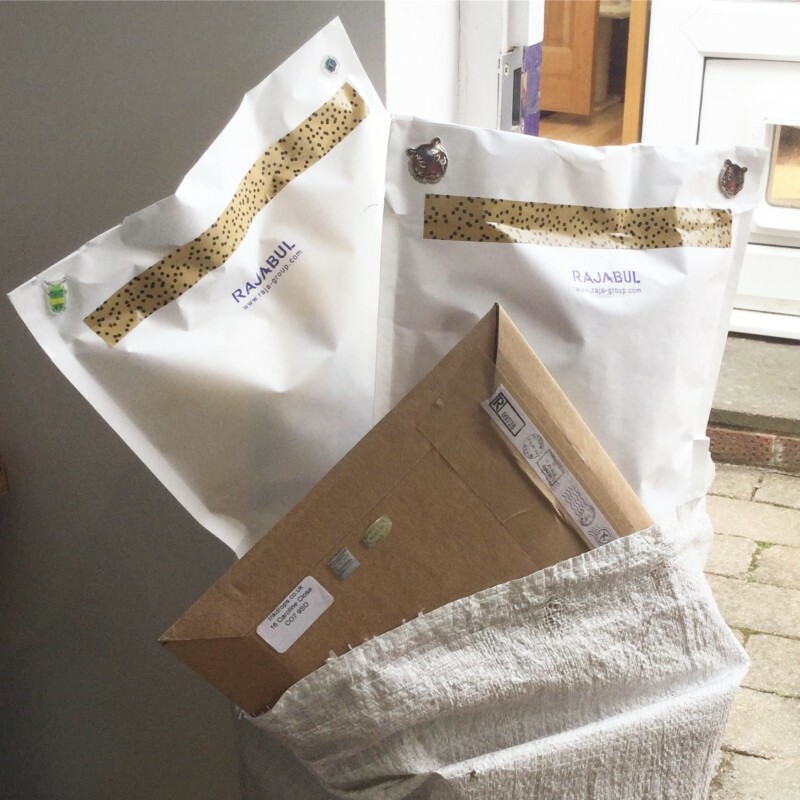 We don’t bang on about it a lot, but Annastasia is vegan and Carla is a mermaid, and as such we care about our environment and we decided early on that we wanted our packaging to be as recyclable as possible. As such, we use paper bags for the inner wrapping and sturdy card envelopes for the outer, with paper labels or handwritten addresses. 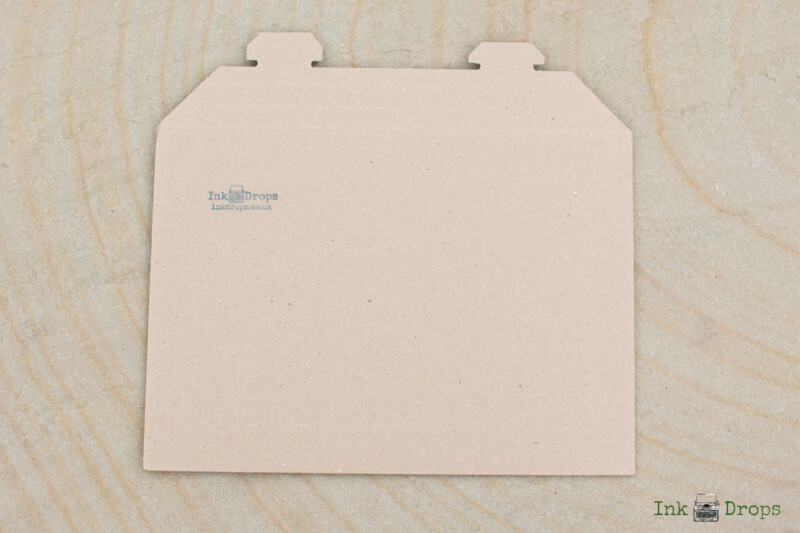 Our inserts are also all printed on paper, and our business cards are made from recycled pulp (courtesy of Moo.com). 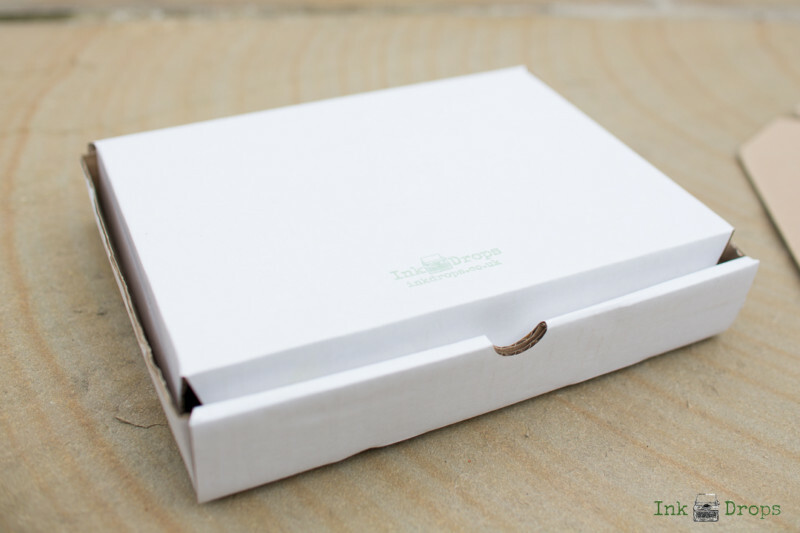 Very occasionally we use padded envelopes, which obviously have a plastic element to them – but only when nothing else will fit the contents, because obviously we want to make sure your order arrives with you in perfect condition! Neither of us are particularly ones for following the rules – we’ll do it when we have to, but this didn’t seem like one of those occasions. When we started, the majority of subscription boxes were for beauty or wellbeing, contained little bottles, tubes & containers, and therefore needed to be a box. Those beautifully branded boxes were a pretty novelty for the first few months, and then we started to notice people posting about having too many, stacking them and not knowing what to do with them (but not wanting to throw them out, or unsubscribe and stop receiving the contents). 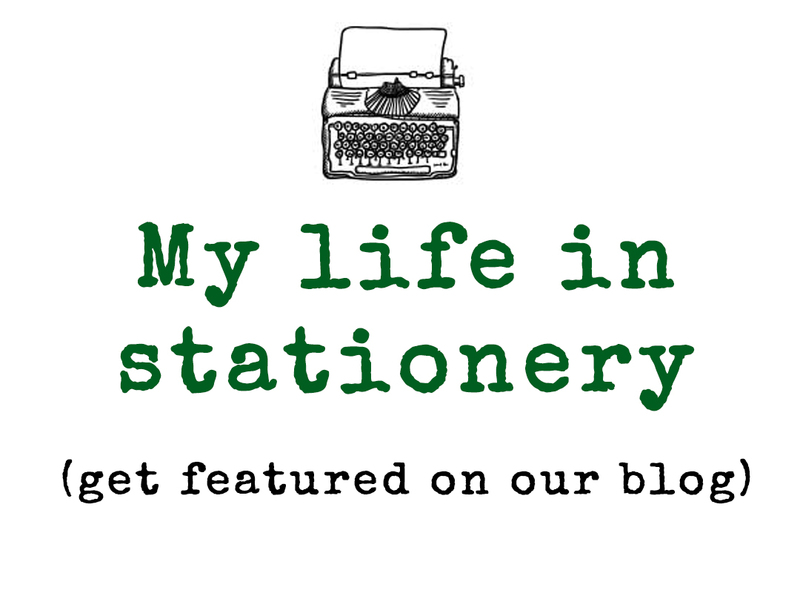 We curate stationery, which means 90% of what we send out is nicely flat – or only as lumpy as a pen or washi tape. On the occasions we’ve had really chunky items (like boxed stickers, or giant washi tape), we’ve sourced some rather lovely boxes which are also cardboard, fully recyclable and fold flat for storage and reuse.